Today I am interested in sharing one of the good tools which is Microsoft Expression Web. The Microsoft Expression web is basically a designing tool but it helpful for a developer also in many ways. I am interested in this tool because it helps me in my SEO work. With the help of this tool you can aware for what SEO Work needed in your website with just a click button as shown in below fig. You just need to manage your site in Expression web and click SEO Report you will get all the detail what is missing, with warning and a nice help file with detail description. So hope this will helpful to other also. I would like to Kudos to Expression web team for such a nice feature. Batch files many times reduce our work. Many tables, stored procedures, functions times we need to create same database, tables, stored procedures, and pre pop data on multiple instances or even same environment. 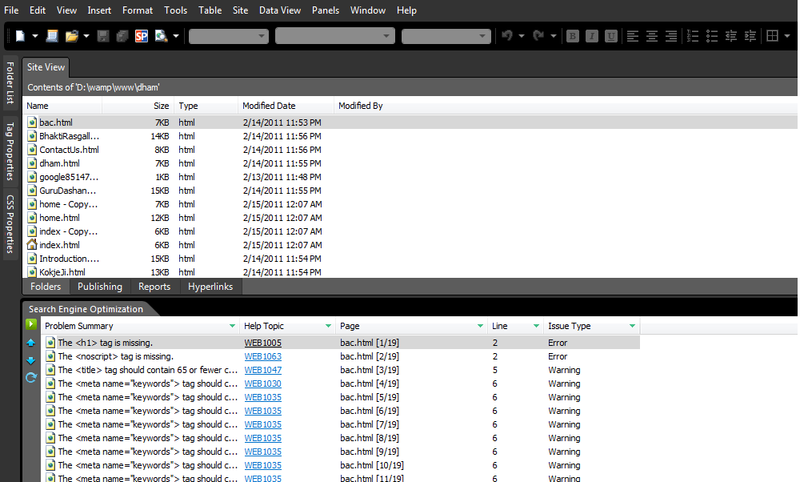 Then in that case we just create scripts and run again and again in SQL Management Studio. But if you are in hurry and you want to run the script on single click without opening file then the easiest way is use ” ISQLW” .isqlw is the another way and we can use it with batch file. Suppose I want to create friends DB database with all theand pre pop data. Then step 1:- Generate, a script file in which we will keep all the create table’s statements, create procedures statements and pre pop scripts. Where -I switch for input file – o for output file. With isqlw you can give credential also but my sql server is with mix mode so there is no problem. After writing isqlw statement just save it and run it will create database FriendDB with all the tables, stored procedures and prepop data. And the entire log will register in rajat.txt file. In this way you can enjoy one click database creation with all tables’ stored procedures and pre pop data. Restore Database from Zip File in SQL Server. Recently one of my colleagues shared a link which is very useful in many ways. The link is very useful for restoring compressed backup. Hope this will help you also. trust me it saved my whole day work because my production database size is 100 GB. Step 2:- Once you have installed above tools then create a pivot collection first. The pivot collection can also be generate using code also (at run time) but here I am using excel pivot collection generator. Step 3:- For generating collection just open excel book go to pivot collection menu when you click pivot collection just below the menu new pivot collection tools will be visible. Then just create new collection button as shown in above image. It will generate a “CXML” file which is collection Xml file with deep zoom images collection. Step8:- Now your collection is ready so next thing is how to use it. 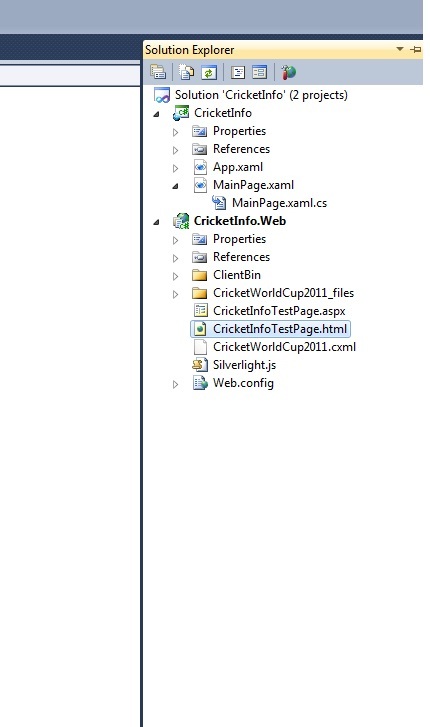 So first create a VS2010 Silverlight web application project. Step 10: Once you copied the CXML and Images then open your Silverlight project and drag drop Pivot control or if it is not exist in your tool manually add for that just add reference as shown below. Step 11:- Now in the code behind just assign the collection URL to pivot control. (The URL nothing but the CXML URL which you already copied in your web project in step 9) as shown below. Step 12: Now run the project you will get following screen. On left side you will get filter criteria when you change that your data will also change in center. Hope the steps will be helpful and you can download code from.